Catholic News World : Wow Smallest Baby Boy in the World Born at 268 grams and 24 Weeks in Japan goes Home with a Smile! Wow Smallest Baby Boy in the World Born at 268 grams and 24 Weeks in Japan goes Home with a Smile! In Tokyo, Japan, the smallest baby in the world was born with a weight of 268gr. He fit in the hand of an adult. At 5 months old the baby boy now weighs 3,238 pounds and eats normally. The mother gave birth prematurely at 24 weeks of pregnancy. The doctors at Keio University Hospital say that when he was born, the baby was so small that he fit into the hands of an adult. At home for a week, he now weighs 3,238kg and feeds normally. “I can only say I'm happy that he has grown this big because honestly, I wasn't sure he could survive," the boy's mother said. 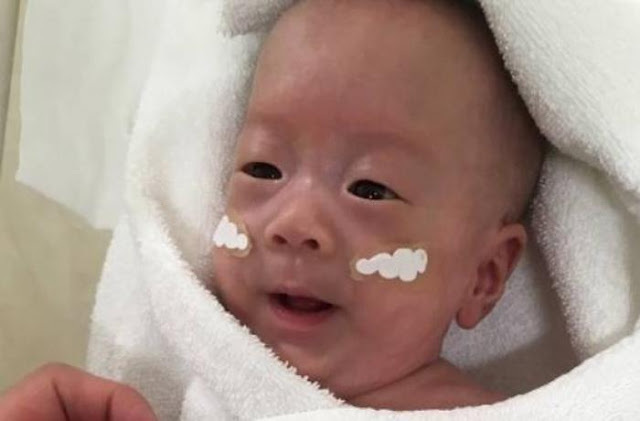 The Keio University Hospital gave the smallest premature baby an all clear from doctors. The record was previously held by a boy born in Germany in 2009 weighing just 274g. The smallest surviving girl was born in Germany in 2015 weighing 252g, according to the registry. The survival rate of premature baby boys is lower than that of girls. Edited from Asia News IT.